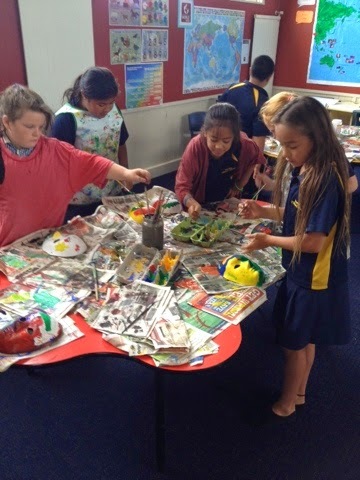 We are very busy designing and painting our masks. 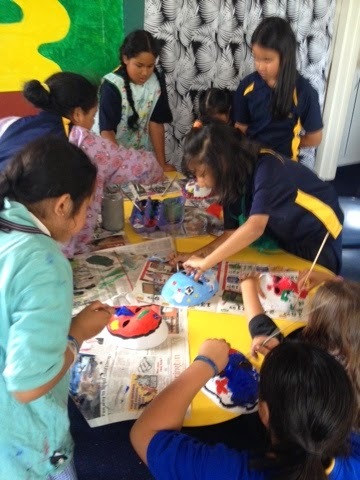 We had to make our masks unique to us and use colour and symbols to identify things that are special to us. 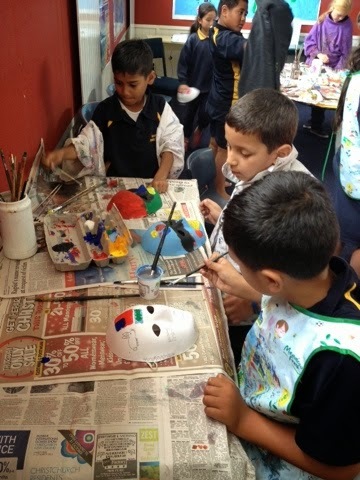 I saw your masks drying on the verandah and was very impressed. It looks like you worked very hard. Can't wait to see them when all finished! nice dakota's mask for the classroom. to go on the wall so it looks good.